If you experience any registration difficulty, please contact Joan Martin at jmartin@usgbc-illinois.org or 312-245-8300 x205. Ticket sales are Non-Refundable. 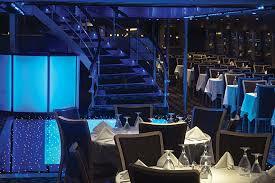 We will be sailing for our 11th cruise on a new swanky boat, the Spirit! Join us for our popular evening event, cruising the waters of Lake Michigan, offers the perfect backdrop for networking with your industry peers. If you missed it before, don't miss it this year!